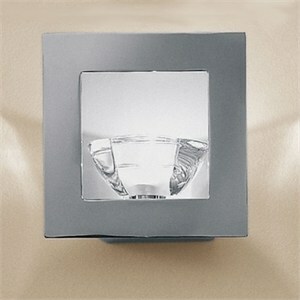 Single light wall sconce made from pure crystal (no lead), framed in polished chrome. Dimensions 7"W X 7"H X 5"Extension. Uses 1 X 35W 12V GY6.35 halogen lamp (not included), electronic transformer. Please note that due to extremely high demand, this item may take several weeks to ship.